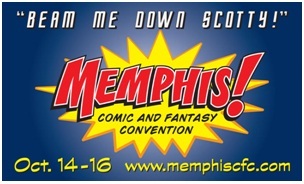 The October fun continues back in Memphis, TN for the second Memphis Comic and Fantasy Convention! Several authors and artists will be at this convention, and we hope you will join us! Situated on the third floor of the Hilton, all of the Convention will be pretty much located in one area – save for the panels of course. Host Joe Thordaston has an impressive line-up of talent, and Master of Ceremonies Allan Gilbreath is sure to keep the entertainment going. So, please – come on over and check it out! Elizabeth K. Donald of Cold Ones and Nocturne will be the Guest of Honor at Contraception 22! Their theme this year is… Children of the Night. It will be from November 12th to November 14th, so if you are near Kansas City, Missouri be sure to go out and see her!